Opening up this package and unfolding the mask, I thought ok what am I going to look like and then a mummy slots into mind, after my last sheet mask had me looking like Iron Man, I was intrigued into how this sheet mask was going to hold up. 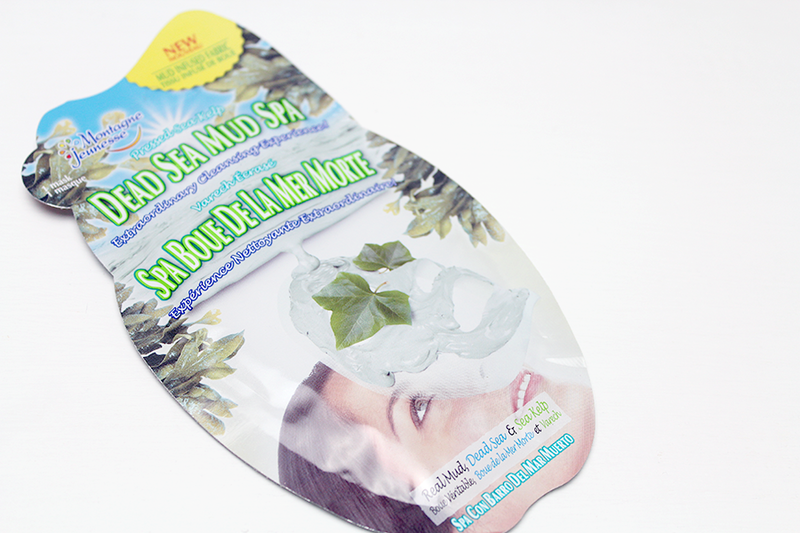 This mask contains Dead Sea Mud, Dead Sea Salt and Seaweed. Great for combination, normal and oily skin. I've been a huge fan of Dead Sea Salt since about 2009, I use to use the soap for when my face had any breakouts and not to mention I wash my face sometimes with just sea salt water, so being familiar with the benefits, was looking forward to the mask. 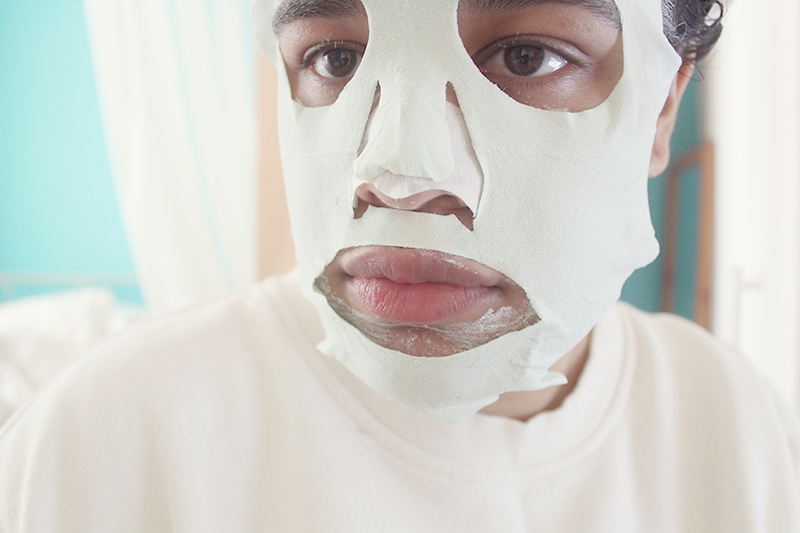 Saturday afternoon I decided to slap a mask on as my face felt it needed it btw I have the Montagne Jeunesse De-Clog Nose Pore Strips* from the Skin Heroes collection which I love, my nose always feels so much more smoother and cleaner. The scent is fresh & soothing, I noticed this masks cut out around the mouth was pretty large, at least some of the mud got onto those areas whenever it slipped down, they do say lay down but as I was busy I did just walk around with it on and it was secure enough besides that area. Felt cool on the face, gave me a little tingle but nothing terrible it was just an initial feeling. Even with the sheet on I forgot it was there, I took the mask off and rinsed it off with cool water and moisturised my face. My skin looked brighter afterwards and felt smooth to touch. 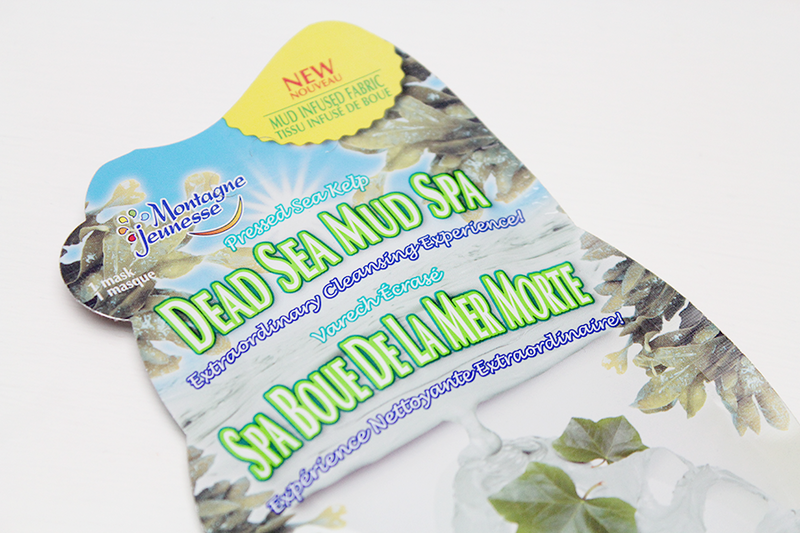 Have you tried any Montagne Jeunesse masks? Im jelaous!! You are more loser to them and get all the good ones!! !